In this article, we will talk about natural paranormal, specifically around the Nyiragongo volcano. Watch the largest video volcano in the world and tested closely the strength of this volcano and the causes of disasters and devastation in its history. Nyiragongo This volcano, according to volcanic and seismic studies, is the largest volcano in history. The volcano is located on the mountain named Nyiragongo in the national park of Virunga, in the Democratic Republic of the Congo. About 19 kilometers north of the city of Goma, where the well-known Lake Kivu is located. 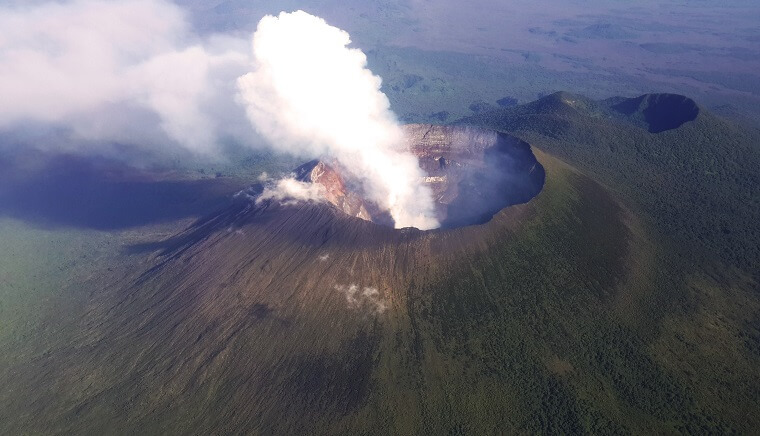 Nyiragongo is one of the strongest and most active volcanoes on the African continent. Which formed a lake of volcanic lava at a depth of approximately 600 meters, while the maximum height found from the lava of this volcano has been recorded in history at about 3250 meters in 1977 from January. According to the experts and reports that talked about it has started that lake in this volcanic activity since the beginning of 1882 has launched lava and revolutions at least 34 times, and still today active but slightly less than the revolutions of the past, it may be limited to the crater, which is what These form a large lake of lava. His last revolutions were in 2002 of January. 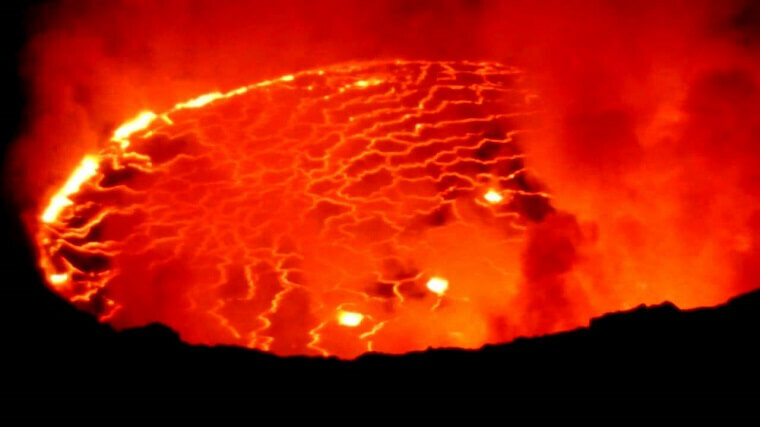 Due to the importance of this volcano and the studies and research conducted around it and the seriousness and the successor behind it, a team of scientists from different countries recently in a detailed study on the volcanic lake of Nyiragongo to determine what the lava and what is composed, the lava emitted by the volcano erupts in the form of flaming fire on Nephelinite milliliter rocks. These volcanic rocks are rich in alkali. Their chemical composition differs from others due to the abnormal liquidity speed which, after the cases, reached about 110 km / h but the good is that most of them occurred in safe areas far from humans. This volcanic lake formed from liquid lava from the volcano between 1894 and 1977. In January 1977 the volcano erupted again, but this time with tremendous force, volcanic rocks flared and liquid lava flowed into the entire area surrounding the volcano, resulting in thousands of deaths. Of people, according to reports of the incident. I will leave you with this report by the photographer Carsten Peter about the largest and largest volcano in the world that followed the report in the next video in which Mr. Carsten told how he challenged all the frenzy of nature and descended to the depth of the volcano and its interior.